The Taiwan Tower is a proposal by Vienna-based architect Steven Ma in Collaboration with San Liu, Xinyu Wan, and Emre Icdem. 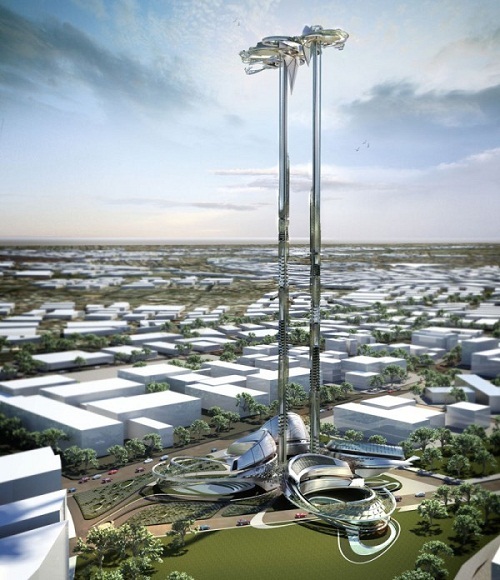 This highly innovative project consists of a set of super slim twin towers that reach a height of 350 meters where an observatory and sky-park is located. The plinth of the towers is formed by an intricate set of museums that will exhibit Taiwan’s past, present, and future. Each of the three museums configures itself around recreational areas that include a water plaza, an outdoor theatre, a green house, and an event plaza. 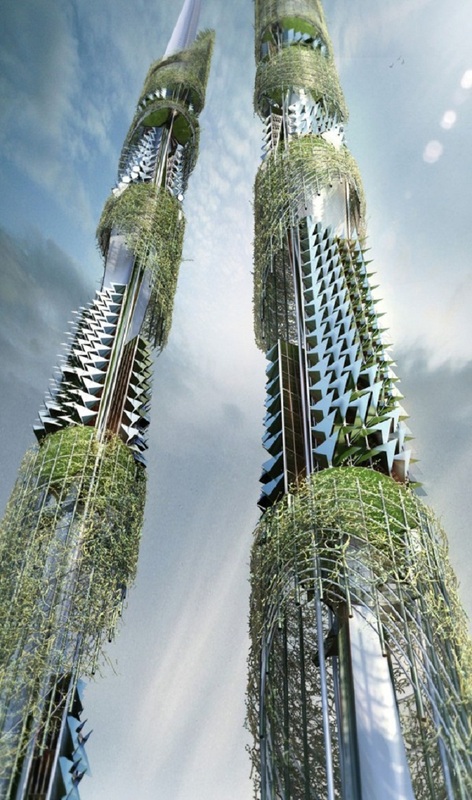 Another interesting feature is the location of four different types of hanging gardens along the towers’ structure with high-end residences and an aviary for endangered bird species. Among the sustainable features, the Taiwan Tower is equipped with water recycling plants, wind turbines, and a beautiful set of photovoltaic cells placed along the sky-garden and on top of the museums’ undulating surfaces.